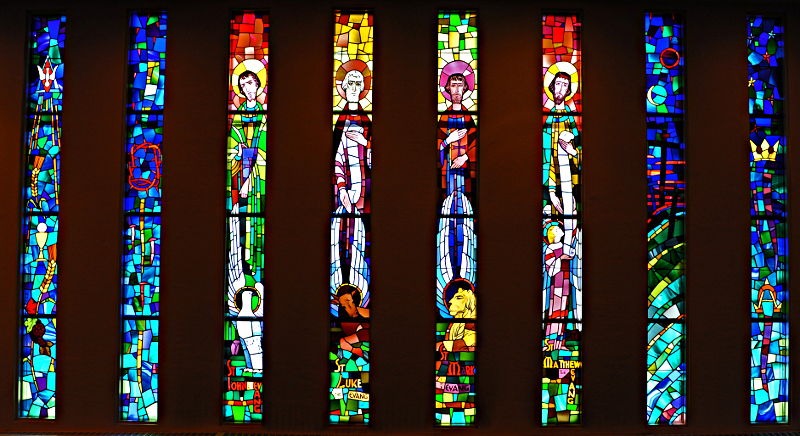 Westworth owns two stained glass windows by renowned artist Leo Mol (1915 to 2009). Born in Ukraine, Leo Mol emigrated to Canada in 1949. He spent most of his working life in Winnipeg. He established an international reputation as a sculptor and his work is displayed in cities throughout the world. He also created more than 80 stained glass windows. 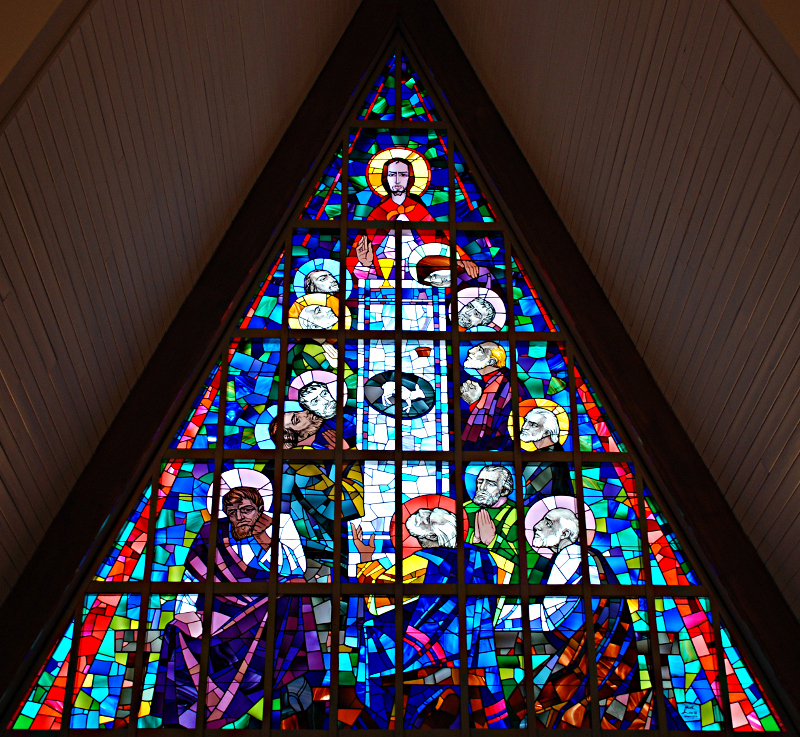 The window in the sanctuary is a monumental depiction of the Last Supper. The window in the side chapel consists of nine panels. The left panel depicts the dove of the Holy Spirit and the bread and cup of Communion. Nails and the crown of thorns are symbols of the crucifixion. Next come the four Evangelists: St. John with a dove, St. Luke with an ox, St. Mark with a lion and St. Matthew with an angel.